I have presented numerous papers at State, National and International Conferences held at Singapore and Bangkok. I was invited to be on the Faculty of the CME programmes of numerous Instructional Courses and Regional Orthopaedic Association Conferences held in the Country. I was an examiner for the MBBS degree at the University of Bangalore, India. I was an Under-graduate and Post-graduate teacher at the University of Liverppol,UK and the University of London,UK for the Under-graduates and the final FRCS candidates. I am on the Editorial Board of EC Orthopaedics. I am on the Editorial Board for Journal of Spine Care. Primary Malignant Melanoma of the Male Urethra – K. Mohan Iyer, A.L Shah, R.D. Bapat & C.V. Patel. Indian Journal of Cancer, June 1974, Vol. 11, No.2. Anorectal Carcinoma – C.V. Patel, K. Mohan Iyer & G.B. 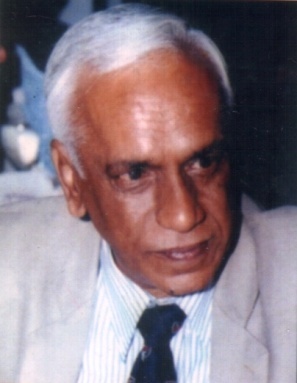 Parulkar, First Triennial Conference of the Asian Society of Colo–rectal Surgery, Mumbai – January 1975. 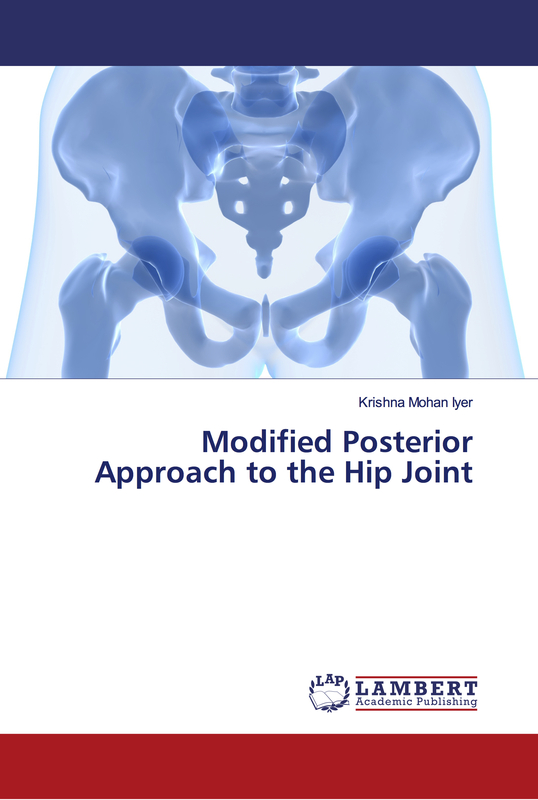 A New Posterior Approach to the Hip Joint – K. Mohan Iyer, Injury, 13, 76-80, 1981. 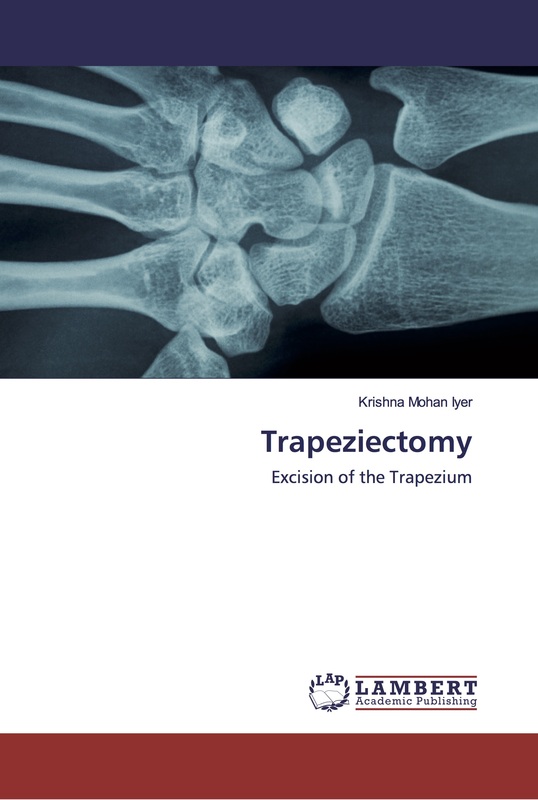 The results of Excision of the Trapezium – K. Mohan Iyer, The Hand, Vol.13, No.3, 246-250, 1981. Arthrography of the Metacarpo – scaphoid joint following Excision of the Trapezium – K. Mohan Iyer & Graham H. Whitehouse, The Hand Vol. 13, No.3, 251 – 256, 1981. Results from a degradable TMC joint Spacer (Artelon) compared with tendon arthroplasty.,J Hand Surg [Am]. 2005 Mar ;30 (2):380-9, by Anders Nilsson, Elisabeth Liljensten, Christina Bergström, Christer SollermanArtimplant AB, Göteborg, Sweden. Experience with Thompson’s prosthesis using the New Posterior approach – K. Mohan Iyer, M.A. Shatwell and M.A. Elloy, Injury, 14, 243 – 244, 1982. Congenital Absence of Flexor Pollicis Brevis and Abductor Pollicis Brevis – K. Mohan Iyer and J.K Stanley, The Hand Vol. 14, No.3, 313 – 316, 1982. A New Posterior Approach to the Hip Joint – Year Book of Orthopaedics - 1982. Posterior Approach to the Hip Joint – K. Mohan Iyer, Association of Surgeons of India Conference, Mumbai - December 1982. Posterior Approach to the Hip Joint - K. Mohan Iyer, Karnataka Orthopaedic Association Conference, Bangalore – February 1983. Posterior Approach to the Hip Joint - K.Mohan Iyer India; Asean Orthopaedic Association Congress, Singapore – October 1984. Role of Botropase in Orthopaedic and accident Surgery – K. Mohan Iyer, Karnataka Medical Journal, Vol.52, 65-67 – 1985. Guest Faculty, C.M.E. Programme, First South Zone Orthopaedic Conference, Mangalore, India – 1985. The results of Excision of the Trapezium & Arthrography of the Metacarpo – scaphoid joint following Excision of the Trapezium – Poster Session, Western Pacific Orthopaedic Association Congress, Bangkok – 1985. Instructional Course on Bone Tumours – Guest Faculty, Madurai Kamaraj University, Madurai – 1985. Carpal Tunnel Syndrome – K. Mohan Iyer, R. Rajkumar, Association of Surgeons of India Conference, Bangalore – 1985. Guest Faculty, C.M.E. 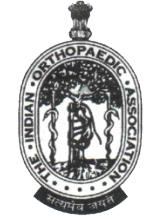 programme, Karnataka Orthopaedic Association Conference – March 1986. Axillary Artery Thrombosis following a fracture of the neck of the Humerus – D. Sathyarup, Ajit K. Huilgol and K. Mohan Iyer, Injury, 19, 1988. Fractures of the proximal humerus, Rockwood and Green’s Fractures in Adults, Volume 1,Fifth Edition, 1039,Reference No:245. Use of Cough Lok can predispose to Axillary Artery Thrombosis after a Robicsek procedure, Interactive Cardiovascular and thoracic Surgery,2;68-69, (2003). Axillary Artery Injury from Humeral Neck Fracture:A rare but disabling traumatic event, Vascular and Endovascular Surgery,Vol.38,No.2,175-184(2004). A rare combination of an axillary artery and brachial plexus injury due to a proximal humeral fracture. by Robin M Seagger, Jeffery Kitson,in Int J Shoulder Surg. 2009 Jul ;3 (3):71-3, The Orthopaedic Department, The Royal Devon and Exeter Hospital, Barrack Road, Exeter, EX25DW, United Kingdom. Delayed presentation of a pseudoaneurysm of the subclavian and axillary artery--the importance of vigilance. Nemandra Sandiford, Kostantinos Tsitskaris, Matthew Erritty,in J R Soc Med. 2010 Feb ;103 (2):67-9 Department of Trauma and Orthopaedic Surgery Queen Mary's Hospital, Sidcup, Kent DA14 6LR, UK. Late onset of axillary artery thrombosis after a nondisplaced humeral neck fracture: A case report,inJ Shoulder Elbow Surg. 2006 Nov 20;:, by Gerardo Gallucci, Maximiliano Ranalletta, Jorge Gallucci, Pablo De Carli, Gastón Maignon Instituto de Ortopedia y Traumatologia, Carlos E. Ottolenghi Hospital Italiano de Buenos Aires, Buenos Aires, Argentina. Shoulder disarticulation: a sequel of vascular injury secondary to a proximal humeral fracture. In Injury. 2002 Nov ;33 (9):771-4, by A A Syed, H R Williams Department of Orthopaedics, York District Hospital, Wigginton Road, Y031 8HE, York, UK. Axillary artery injury as a complication of proximal humerus fractures. J A McLaughlin, R Light, I Lustrin,in Shoulder Elbow Surg. ;7 (3):292-4 Department of Orthopaedic Surgery, Long Island Jewish Medical Center, New Hyde Park, NY, USA. Posterior Approach to the Hip Joint, Campbell’s Operative Orthopaedics, Ninth Edition(1992)Pages 140,387,466. Osteoid Osteoma: Importance of CT Scan of the Excised Lesion – K. Mohan Iyer, Sharanya S. Bhat & Shahanaz K. Patel, Emirates Medical Journal (2001); 19 (3): 201-202. Wheeless’ Textbook of Orthopaedics > wheelessonline.com > Osteoarthritis > CMC Arthritis > Excision of the Trapezium. Early post-operative femoral component loosening – Shibu P.Krishnan and K.Mohan Iyer,European Journal of Orthopaedic Surgery and Traumatology(March 2006;Issue No.16/1). Early Postoperative Loosening of Acetabular Component presenting as Dislocation of Total Hip Replacement- Sughran Banerjee and K.Mohan Iyer, Article Accepted for publication in the European Journal of Orthopaedic Surgery and Traumatology(April 2007). Guest Faculty,Orthopaedic Association of South Indian States Conference, OASISCON,7th to 9th September 2007,Mangalore,India. Modified Posterior Approach to the Hip Joint, International Journal of Orthopaedics Sciences,2015; 1(4): 01-05. Invited presentation on `Modified Posterior Approach to the Hip Joint,8/12/2016,Philadelphia,USA. Referred to in Wheeless’ Textbook of Orthopaedics- wheelessonline.com-Osteoarthritis-CMC Arthritis-Excision of the Trapezium. Welcome to WheelessOnline.com, the premier website for the busy orthopaedist. Duke University Medical Center's Division of Orthopedic Surgery, in conjunction with Data Trace Internet Publishing, LLC is proud to present Wheeless' Textbook of Orthopaedics. This is the most comprehensive, unparalleled, dynamic online medical textbook in existence. Looking through our 11,000 pages with more than 5,000 images, you'll find this key reference in an easy to read outline format. Each topic is fully searchable by alphabetical, anatomical and keyword searches, or just click on a particular part of the Skeleton for easy access. Wheeless' Textbook of Orthopaedics is updated daily. Register for E-mail alerts and we'll send you links to updated material in your specialties as soon as it publishes. Reprinted by permission of Data Trace Internet Publishing LLC.Wheeless Textbook of Publishing LLC.Wheeless Textbook of Orthopaedics. AUNE,S. (1955)Osteo-arthritis of the first carpo-metacarpal joint,Acta.Chir.Scand.,109:449- 456. GERVIS,W.H. (1949)Excision of the trapezium for Osteoarthritis of the trapezio-metacarpal joint,Journal of Bone and Joint Surgery,31B:537-539. GERVIS,W.H. (1973)A review of excision of the trapezium after Osteoarthritis of the trapezio-metacarpal joint after twenty-five years,Journal of Bone and Joint Surgery,55B:56-57. GOLDNER,J.L. and CLIPPINGER,F.W. (1959)Excision of the greater multangular bone as an adjunct to mobilization of the thumb,Journal of Bone and Joint Surgery,41A:609-625. KUCZYNSKI,K. (1974)Carpometacarpal joint of the human thumb,Journal of Anatomy,118:119-126. MARMOR ,L. and PETER,J.E. (1969)Osteoarthritis of the carpometacarpal joint of the thumb,American Journal of Surgery,117:632. MURLEY,A.H.G. (1960)Excision of the trapezium in Osteoarthritis of the first carpo-metacarpal joint,Journal of Bone and Joint Surgery,42B:502-507. NAPIER,J.R. (1955)Form and function of the carpometacarpal joint of the thumb,Journal of Anatomy,89:362-369. SIMS,C.D. and BENTLEY,G. (1970)Carpometacarpal arthritis of the thumb,British Journal of Surgery,Vol.57,No.6,442-448. WEILBY,A. (1971)Surgical treatment of osteoarthritis of the carpometacarpal joint of the thumb,Scand.J.Plast.Reconst.Surg.,5:136-141. WEINMAN,D.T.and LIPSCOMB,P.R. (1967)Degenerative arthritis of the trapezio-metacarpal joint:Arthrodesis or Excision?,Mayo Clinic Proc.,42:276-287. GANEL,A.,ENGEL,J.and DITZIAM,R. (1979)Arthrography as a method of diagnosis of soft tissue injuries of the wrist,Journal of Trauma,19:376-380. HARRISON,M.O.,FEIBERGER,R.H.and RANAWAT,C.S. (1971)Arthrography of the rheumatoid wrist,American Journal of Roentgenology,112:480-486. KESSLER,I.and SILBERMAN,Z. (1961)An experimental study of the radiocarpal joint by arthrography,Surgery,Gynaecology and Obstetrics,112:33-40. RANAWAT,C.S.HARRISON,M.O.and JORDAN,L.R. (1972)Arthrography of the wrist joint,Clinical Orthopaedics,83:6-12. RESNICK,D. (1974)Arthrography in the evaluation of arthritic disorders of the wrist,Radiology,113:321-340. LERI,A. (1926)Etudes sur les affections des os et des articulations,Paris:Masson et Cie. Robert,P. (1936)Bulletins et memoires de le Sociate de Radiologie medical de France,24:687. LASSERE,C.,PAUZAT,D.and DERENNES,R. (1949)Osteoarthritis of the trapezio-metacarpal joint,Journal of Bone and Joint Surgery,31B:534-536. MULLER,G.M. (1949)Arthrodesis of the trapezio-metacarpal joint for osteoarthritis,Journal of Bone and Joint Surgery,31B:540. BRITTAIN,H.A. (1952)Architectural Principles in Arthrodesis.Edinburgh and London:Livingstone. LINSCHEID,R.L.,DOBYNS,J.H.,BEABOUT,J.W.and BRYAN,R.S. (1972)Traumatic instability of the wrist,Journal of Bone and Joint Surgery,54A:1612-1632. FISK,G.R. (1970)Carpal instability and the fractured scaphoid,Annals of the Royal College of Surgeons of England.Vol.1.46:63-76. EATON,R.G.and LITTLER,J.W. (1969)A study of the basal joint of the thumb,Journal of Bone and Joint Surgery,51A:661. SWANSON,A.B. (1972)Disabling arthritis at the base of the thumb,Journal of Bone and Joint Surgery,54A:456. PATTERSON,R. (1953)Carpo-metacarpal arthroplasty of the thumb,Journal of Bone and Joint Surgery,15:240. Arthrography of the Metacarpo – scaphoid joint following Excision of the Trapezium- K. Mohan Iyer & Graham H. Whitehouse, The Hand Vol. 13, No.3, 251 – 256, 1981. Osteoarthritis of the Carpometacarpal Joint of the Thumb-Lasse Kvarnes and Olav Reikeras(Feb.1985) The Journal of Hand Surgery,Vol.10-B,No.1,117-120. Rheumatoid Arthritis at the Base of the Thumb treated by Trapezium Resection or Implant Arthroplasty-L.Kavarnes and O.Reikeras(June 1985) The Journal of Hand Surgery,Vol.10-B, No.2,195-196. Interposition Arthroplasty of the Trapeziometacarpal Joint for Osteoarthritis-Paul C.Dell and Ruth B.Muniz(July 1987) Clinical Orthopaedics and Related Research, Number 220,27-34. Replacement of the Trapezium with a Silicone Elastomer Universal Small Joint Spacer-B.Helal and I.McPherson(Nov.1989) The Journal of Hand Surgery,Vol.14B,No.4:456-459. Revision Procedures for complications of Surgery for Osteoarthritis of the Carpometacarpal Joint of the Thumb-W.B.Conolly and S.Rath(August 1993) The Journal of Hand Surgery,Vol.18B,No.4:533-539. Excision of the Trapezium for Osteoarthritis at the base of the Thumb – Varley G.W,Calvey J,Hunter J.B,Barton N.J,Davis T.R.C(November 1994) The Journal of Bone and Joint Surgery(Br),76-B:Vol.6,964-968. Simple Trapezectomy for Treatment of Trapeziometacarpal Osteoarthritis of the Thumb-Vandenbroucke J,De Schrijver F,De Smet L,Fabry G(1997) Clin Rheumatol;16:239-242. A Comparison of Trapeziectomy with and without ligament reconstruction and Tendon Interposition-H.J.C.R.Belcher and J.E.Nicholl(August 2000) The Journal of Hand Surgery,Vol.25B, No.4:350-356. Trapezial Space Height after Trapeziectomy:Mechanism of formation and benefits-N.D.Downing and T.R.C.Davis(2001) Journal of Hand Surgery,Vol.26A,862-868. Early versus late mobilization after simple excision of the Trapezium- N.Horlock and H.J.C.R.Belcher(November 2002) The Journal of Bone and Joint Surgery,Vol.84-B,No.8:1111-1115. Excision of the Trapezium for Osteoarthritis of the Trapeziometacarpal Joint:A study of the benefit of ligament reconstruction or tendon Interposition(2004) Journal of Hand Surgery,Vol.29A,1069-1077. Results from a degradable TMC joint Spacer (Artelon) compared with tendon arthroplasty JOURNAL OF HAND SURGERY-AMERICAN VOLUME 30 (2): 380-389, 2005 MAR. Arthroplasty for trapezium excision and tendon interposition in rhizarthrosis cases: prospective study,byWalter Gomes Pinheiro JuniorI; Renan Moukbel ChaimII; Henrique Bella Freire de CarvalhoIII; Walter Manna AlbertoniIV; Flávio FaloppaV; João Baptista Gomes dos SantosVI Rev. bras. ortop. vol.46 no.1 São Paulo 2011. EXCISION OF THE TRAPEZIUM AND INTERPOSITION ARTHROPLASTY WITH GELFOAM FOR THE TREATMENTOF TRAPEZIOMETACARPAL OSTEOARTHRITIS by I. NUSEM and D. R. GOODWIN, Journal of Hand Surgery (British and European Volume,2003) 28B: 3: 242–245. First carpo-metacarpal osteoarthritis and its association with occupation(with an emphasis on clerical workers) by Dr. Craig W. Martin, Senior Medical Advisor, WorkSafeBC Evidence-based practice group, PO Box 5350 Stn Terminal, Vancouver BC V6B 5L5,November 2010. CMC Joint Arthroplasty Utilizing the BioPro Modular Thumb Implant Louis S. Habryl, DO www.bioproimplants.com/downloads/dr_louis_habryl_cmc_study.pdf‎. “Excision of the Trapezium for Carpometacarpal Osteoarthritis of the Base of the Thumb”. EC Orthopaedics 4.6 (2016): 653-656. I have also done extensive work on the Hip Joint and described an approach to the Hip Joint, which has been widely acknowledged and referred to in the Campbell’s Textbook of Operative Orthopaedics,12th Edition,by S.Terry Canale and James H.Beaty,Page No.331. The same is also referred to in detail in The Year Book of Orthopaedics 1982-Mark B.Coventry, Pages:371-373. The same is also referred to in Surgery of the Hip, Elsevier, Mosby/Saunders, Volume 2, by Daniel J.Berry and Jay R.Lieberman, Page No.269. The same is also referred to in The Adult Hip by John J Callaghan MD, Aaron G Rosenberg MD, Harry E Rubash. Volume 1, Callaghan, Rosenberg and Rubash, ISBN:078175092X, Pages:700-701,718. 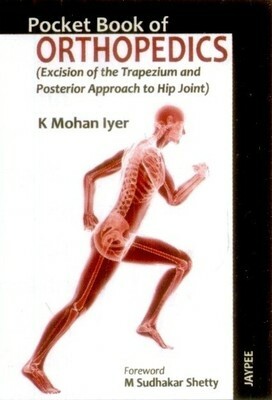 A New Posterior Approach to the Hip Joint – K.Mohan Iyer (1981), Injury, 13, 76-80. The Year Book of Orthopaedics – Mark B.Coventry (1982), 371-373. A Posterior Approach to the Hip Joint with complete posterior Capsular and muscular repair: Hedley et al (1990), The Journal of Arthroplasty, Vol.5, Supplement, October 1990: S 57 to S 66. Rheumatoid Arthritis Surgical Society-Clinical Experience with the Iyer modification of the Posterior Approach to the Hip: F.H.Beddow and C.Tulloch(1990),J.Bone Joint Surg(BR),73B, Suppl II: 164-165. Experience with modified Posterior Approach to the Hip Joint.A Technical note:Shaw J.A(1991):J Arthroplasty,Vol.6,No.1:11-18. Campbell’s Operative Orthopaedics, Ninth Edition, Volume 1, S.Terry Canale(1992),Pages:140,387,466. The Adult Hip (Lippincott-Raven),Volume 1,Callaghan, Rosenberg and Rubash (1998),Pages:700-701,718. Failure of Reinserted Short External Rotator Muscles after Total Hip Arthroplasty-Thomas Stahelin,P.Vienne and O.Hershe(2002) The Journal of Arthroplasty,Vol.17,No.5:604-607. Boyd H.B. and Salvatore J.E. (1974) Acute fracture of the femoral neck: Internal fixation or prosthesis? J.Bone Jt.Surg.46A, 1066. Capener N.(1950) Editorial.The approach to the hip joint. J.Bone Jt.Surg.32B,147. Cofield H.Robert. (2010) Personal Communication. Chan R.N.W.and Hoskinson J. (1975) Thompson prosthesis for fracture neck of femur.J.Bone Jt.Surg.57B,437. Hunter G.A. (1969) A comparison for the use of internal fixationand prosthetic replacement for fresh fractures of the neck of the femur. Bone Jt.Surg.56,229. Lunt H.R.W. (1971) The role of prosthetic replacement of the head of the femur as primary treatment for subcapital fractures.Injury 3,107. Moore A.T.(1957) The self locking metal hipprosthesis .J.Bone Jt.Surg.39A, 811. Deepa Iyer(2006) The Orthopaedic Enigma: A Simplified Classification.The Internet Journal of Orthopaedic Surgery Vol 3,Number 2. 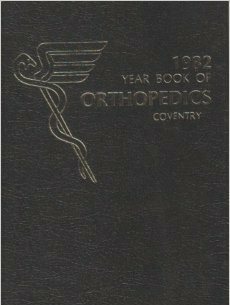 The Year Book of Orthopaedics 1982-Mark B.Coventry,371-373. A Posterior Approach to the Hip Joint with complete posterior capsular and muscular repair: Hedley et al(1990),The Journal of Arthroplasty,Vol.5, Supplement, October 1990:S 57 to S 66. Rheumatoid Arthritis Surgical Society(1990)-Clinical Experience with the Iyer modification of the Posterior Approach to the Hip: F.H.Beddow and C.Tulloch, J.Bone Joint Surg(BR) 1991,73B,Supp II:164-165. Experience with a Modified Posterior Approach to the Hip Joint.A technical note: Shaw J.A:J Arthroplasty;1991,Vol.6,No.1:11-18. 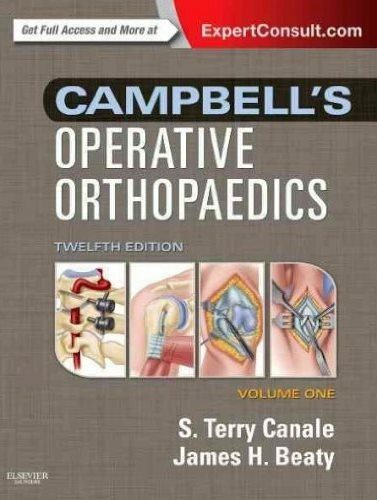 Campbell’s Operative Orthopaedics(1992),Ninth Edition,Volume-1, S.Terry Canale,Pages: 140,387,466. The Adult Hip(Lippincott-Raven)(1998),Volume 1,Callaghan,Rosenberg and Rubash,Pages:700-701,718. Failure of Reinserted Short External Rotator Muscles after Total Hip Arthroplasty-Thomas Stahelin,P.Vienne and O.Hershe(2002), The Journal of Arthroplasty,Vol.17,No.5:604-607. Primary hip arthroplasty through a limited posterior trochnteric osteotomy-Jaoquin Sanchez-Sotelo,John Gipple,Daniel Berry,Charles Rowland,Robert Cofield(2005) Acta Orthop Belg.,71,548-554. Surgery of the Hip,Elsevier,Mosby/Saunders,Volume 2,by Daniel J.Berry and Jay R.Lieberman,Page No.269. Chapter 7- J.W.Harkess,=Arthroplasty of Hip,In Complications and the References of complications and dislocation. Treatment and Rehabilitation Concepts in Europe by K. E. Dreinhöfer, & W. Puhl, Minimally Invasive Total Joint Arthroplasty,2004, pp 13-17. An Extensile Posterior Exposure for Primary and Revision Hip Arthroplasty by C. S. Ranawat, V. J. Rasquinha, A. S. Ranawat, K. Miyasaka,Minimally Invasive Total Joint Arthroplasty, 2004, pp 39-46. 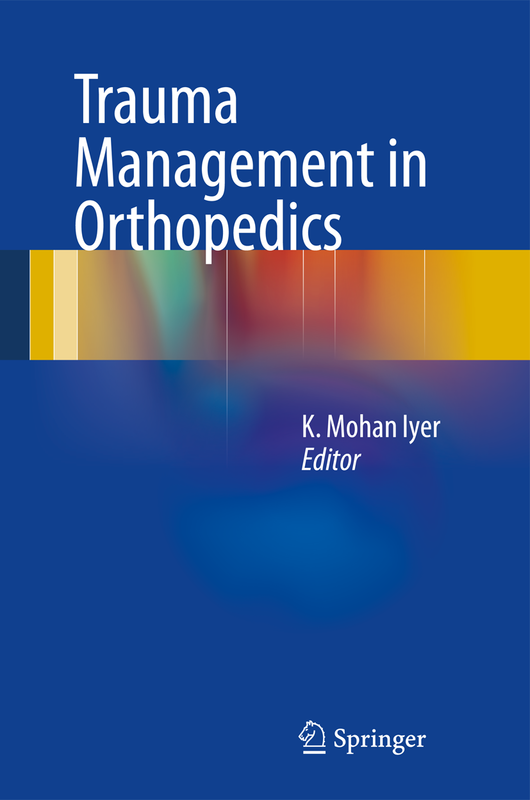 K.Mohan Iyer.“Modified Posterior Approach to the Hip Joint”.EC Orthopaedics 4.4(2016):577-584. Contains Posterior Approach to the Hip Joint and Excision of the Trapezium. The foreword had been given by late Professor M.Sudhakar Shetty, Mangalore, India. The foreword for this book was given by Professor Shamal Das De, Professor of Orthopedic Surgery, National University Hospital, Singapore. *This book also has a unique original chapter written by my respected teacher Dr.L.N.Vora M.S. (Bom. ), F.C.P.S. (Bom. ), F.R.C.S. (Eng. ), M.Ch. Orth(L’Pool), Hon. Orthopedic Surgeon, Sir. H. N. Hospital, Mumbai; Hon. Prof. of Orthopedics (Retd. ), Seth G. S. Medical College, Mumbai; Hon. Orthopedic Surgeon (Retd.) K.E.M. Hospital, Mumbai on `Examination of Gait’. 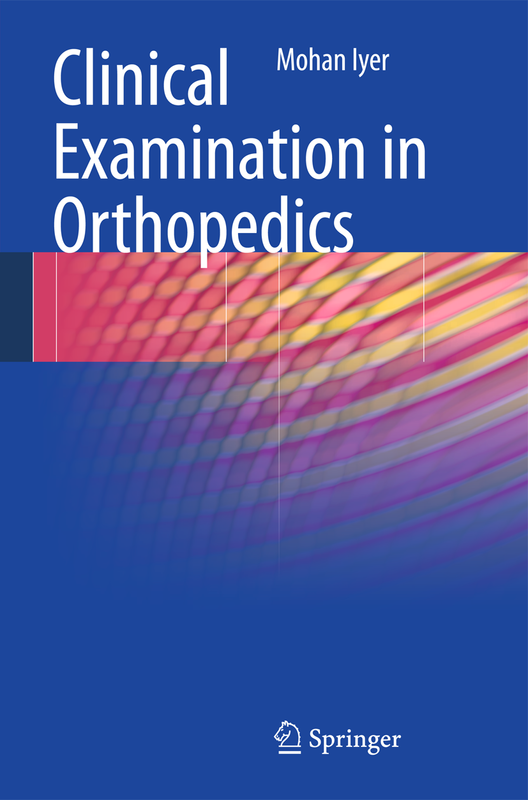 Book review published in "The Journal of Maharashtra Orthopedic Association 2014;9(1):31"
The foreword for this book was given by Emeritus Professor Robert H Cofield, Professor of Orthopedic Surgery, Mayo Clinic, Rochester, Minnesota, U.S. This is the original Research done first on cadavers before clinical application on the Hip Joint by me in Liverpool,UK in 1981.I have followed it up along with References and Citations till today.This work has been cited in many books on the Hip Joint till today. 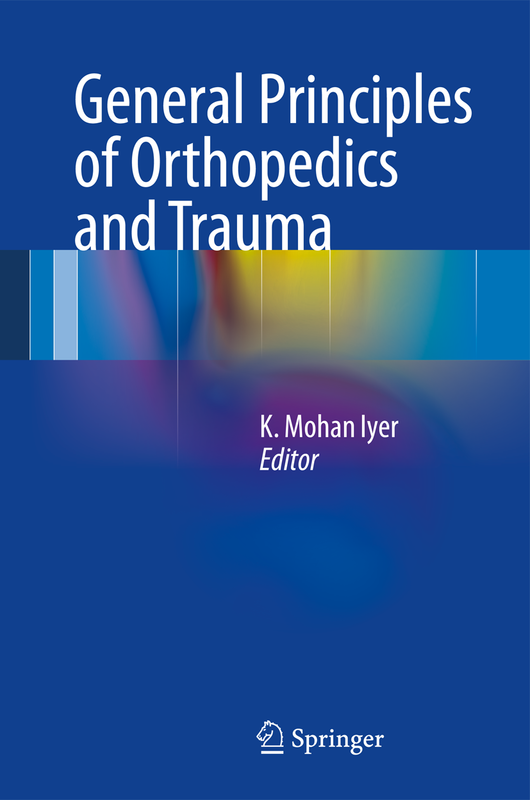 The foreword has been given by Dr.Thomas Stahelin of Zurich,Switzerland who had done pioneering work on the same topic and published the same in the coveted Journal of Arthroplasty in 2002. 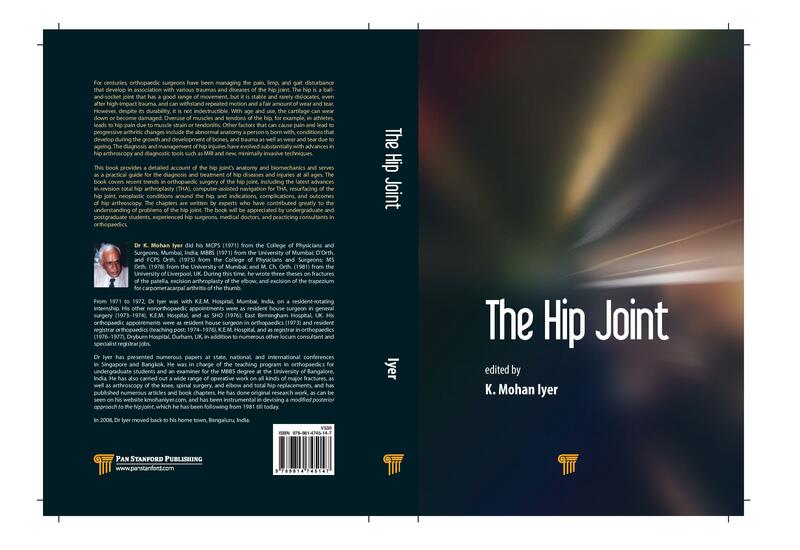 This is my detailed book on HIP JOINT, covering all the recent trends in Orthopaedic Surgery on the Hip Joint,which I have written as a lifetime project after my original research on the HIP JOINT, done in 1981,and hence dedicated to my respected teacher,late Geoffrey V Osborne & my family. The forewords have given given by (1)Professor George Bentley,London,UK, Emeritus Professor and Director.Institute of Orthopaedics and Musculo-Skeletal Science. University College London.Honorary Consultant Orthopaedic Surgeon,Royal National Orthopaedic Hospital,London.and (2) Dr.S Terry Canale, Professor and Chair, University of Tennessee-Campbell Clinic Department of Orthopaedic Surgery & Biomedical Engineering, Memphis, Tennessee, USA and (3) PROF.(DR.) M. SHANTHARAM SHETTY,Pro Chancellor, Nitte University,Chairman, Tejasvini Hospital & SSIOT,Chairman, World Bunts' Foundation,Adjunct Professor, The TN Dr. MGR Medical University,Past President, Indian Orthopaedic Association. This is the original Research done first on cadavers before clinical application on the Hip Joint by me in Liverpool,UK in 1981.I have followed it up along with updated 18 References and 22 Citations till today.This work has been cited in many books on the Hip Joint till today.I have been inspired a lot by my respected teacher,late Mr Geoffrey V Osborne to whom this book is dedicated to. 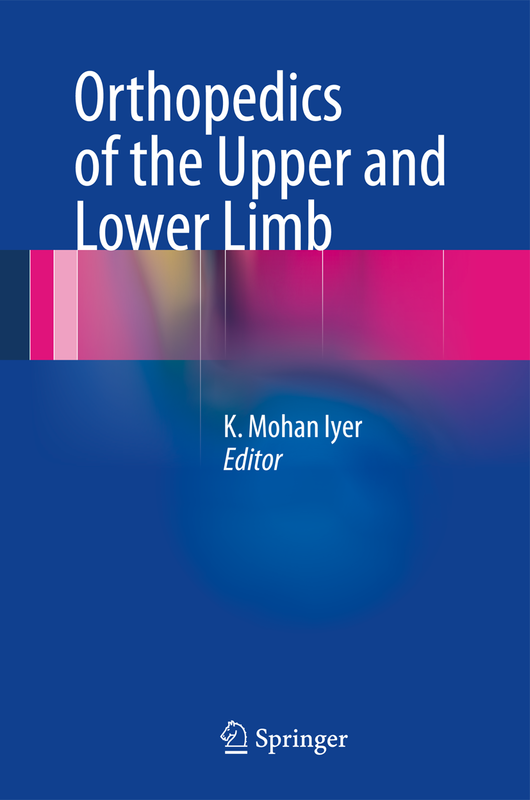 This book is a ready and updated version along with references of Carpometacarpal Osteoarthritis of the base of the Thumb.It also lists the original research work,which first appeared as The Results of Excision of the Trapezium-Iyer, K.M. (1981) The Hand 13:246-250 and also referred to in Wheeless’ Textbook of Orthopaedics- wheelessonline.com-Osteoarthritis-CMC Arthritis-Excision of the Trapezium.It also lists the evolution of treatment and its alternate ways for managing this condition. I have been following it up with 30 references and 21 citations till today(10/7/2017) Full details may be seen on my website kmohaniyer.com.I have been inspired by my respected teacher late Geoffrey V Osborne as it has been dedicated to him and my family. The forword has been given by my colleague Dr.Kandiah Raveendran, M.Ch.orth (Liverpool,UK), F.R.C.S, President of the International Society of Medical Shockwave treatment(ISMST),Past Vice President of SICOT,Founder member of the sports medicine section of APOA,National Delegate of the APKS(Asia Pacific Knee Society),Consultant Orthopaedic Surgeon,Ipoh,Malaysia. I had devised the Modified Posterior Approach to the Hip Joint,at a time when there were considerable reports of dislocation of the hip joint using the conventional posterior Approach as described by Moore in 1954. 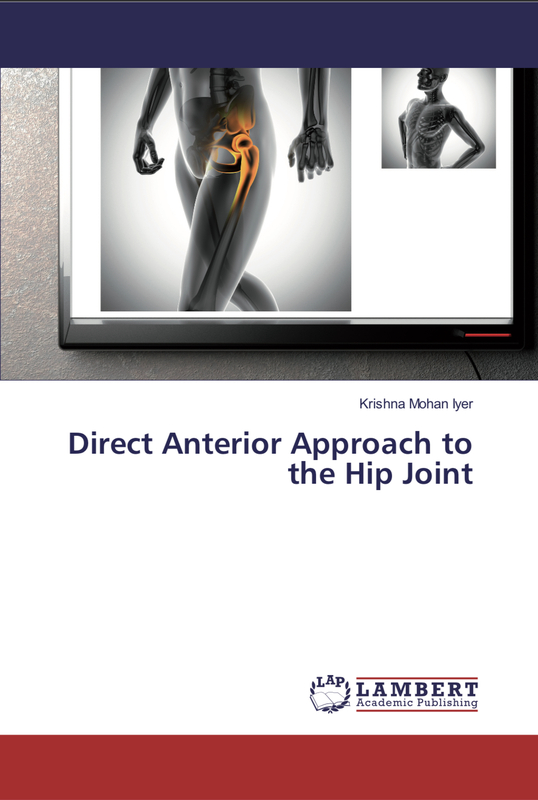 Since I had using this Modified Posterior Approach to the Hip Joint mainly for this reason, I had started using the Direct Anterior Approach to the Hip Joint since early 2017, and I came to the conclusion that it served the same purpose as that when I had devised the Modified Posterior Approach in addition to increased stability to the Hip Joint,with no need to osteotomise the greater trochanter and hence avoid any complications related to the union of the greater trochanter, such as non-union or fibrous union. In view of these multiple advantages offered by this Approach, I would certainly recommend this Direct Anterior Approach to the Hip Joint to the newer generation of Orthopaedic Surgeons wherever feasible. John O'Donnell MB,BS, FRACS, FA(Orth) A.
Past-President, International Society for Hip Arthroscopy Australian Hip Joint Preservation Surgery Society - Past President. This book gives important details of how surgery of the hip joint has evolved around the world. The 22 original chapters are written by experienced consultants, including Drs. John O'Donnell (Melbourne, Australia), Manfred Krieger and Ilan Elias (Frankfurt, Germany), and Nicholas Goddard (London, U.K.). Each chapter is accompanied by excellent, unique figures and references at the end for further reading. 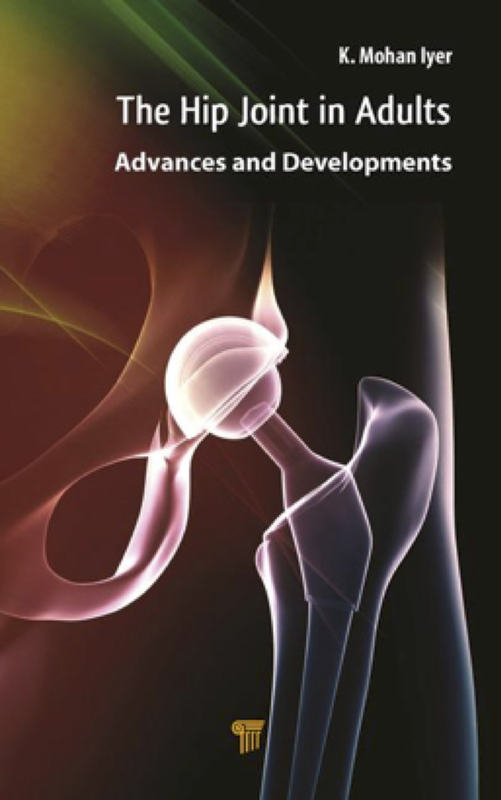 The book focuses on several important topics such as the direct anterior approach to the hip joint, setup of a total hip in a day, early experiences in outpatient hip surgery, advances in short-stem total hip arthroplasty (which is becoming increasingly popular in Europe and also worldwide), advances in hemophilic hip joint arthropathy, mesenchymal stem cell treatment of cartilage lesions in the hip over the next few decades, and minimally invasive surgery of the hip joint. This book is a must-have and invaluable reference for any student interested in the progress in hip joint surgery. 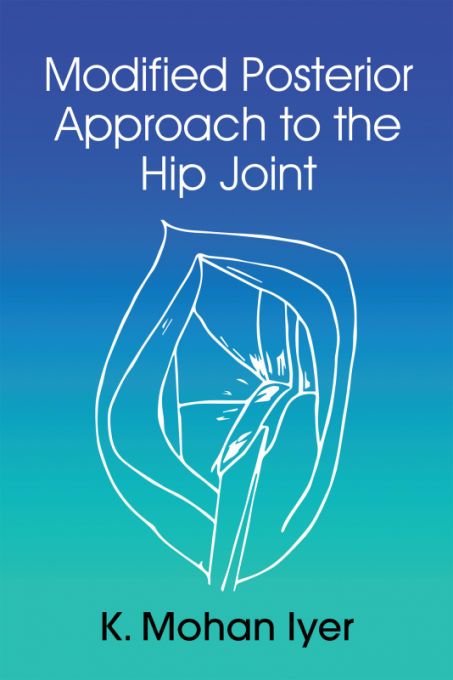 It includes discussions of (i) the direct anterior approach to the hip joint, which is the fastest-growing area of hip replacement surgery in Australia and the world, and (ii) mesenchymal stem cell treatment of cartilage lesions in the hip, an area that is making rapid progress and should be taking center stage and a definitive shape in the next few decades in almost all branches of medicine. Hip Preservation Techniques explores hip problems and presents and compares alternative protocols for treating the condition in children, adolescents, young adults, and adults. While poor long-term outcomes of arthroplasty have led to an increasing dependence on procedures to conserve the native hip, preservation surgery may maintain or protect a hip and prevent or delay the need for arthroplasty. Well-established techniques such as cartilage restoration and use of tissue-derived mesenchymal stem cells are presented, and conceptually different procedures such as Bernese peri-acetabular osteotomy, Salter’s and Pemberton’s osteotomy are also discussed. 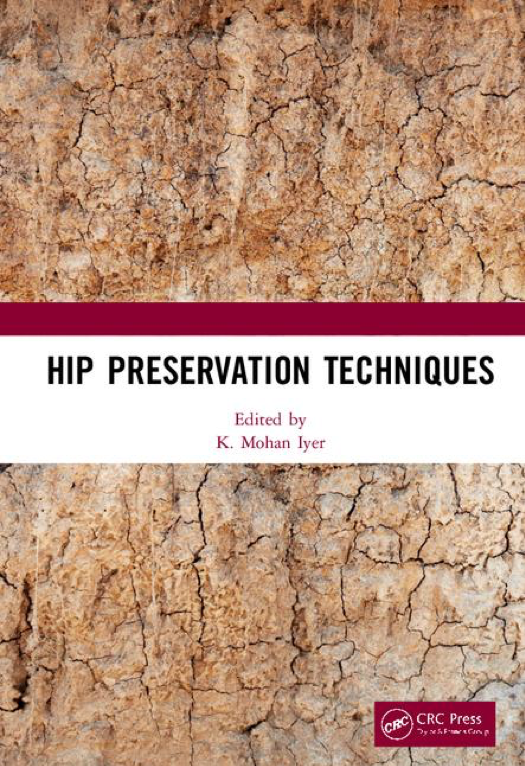 This book will be useful for medical students, residents and consultants with an interest in hip preservation surgery. The foreword has been given by Ajay Malviya PhD, FRCS T&O, MSc, MRCS Ed, MSc Consultant Orthopaedic Surgeon - Northumbria Healthcare Senior Lecturer, Regenerative Medicine - ICM, Newcastle University United Kingdom.